It’s back to school season already!?! While it’s certainly true that realizing your summer is coming to an end is never fun, the bright side is you get to save a ton of money on new gear. From clothing to school supplies and everything in between, retailers are definitely kicking things into high gear right now as back to school shopping peaks. 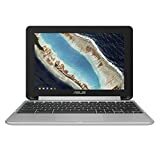 There are plenty of great sales out there, but Amazon’s current back to school sale on Chromebooks is one of the best we’ve seen. 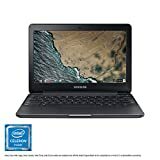 With prices starting at just $139.99 for a Samsung Chromebook 3, you’re not going to find better prices anywhere else. Looking for more power and a convertible design? Amazon’s got you covered with a $50 discount on the ASUS Chromebook Flip. There are four different models on sale and you can see them each below or check them all out on this page. 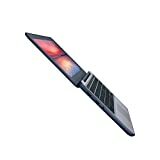 Powered by the Intel Celeron N3060 Processor (2M Cache, up to 2.48 GHz) for fast and snappy performance. 2 GB DDR3 RAM; 16GB Flash Storage; No CD or DVD drive. Chromebook runs on Chrome OS – an operating system by Google that is built for the way we live today. It comes with built-in virus protection, updates automatically*, boots up in seconds and continues to stay fast over time.